Make good use of the sun with our free summer activities. 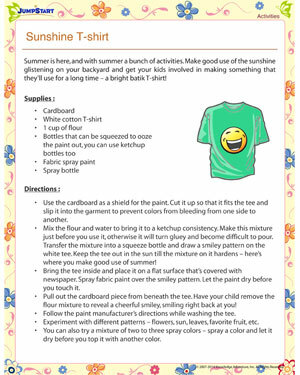 Get the children out in the backyard on a pleasant summer day and help them make a bright orange tee that smiles right back at them! The tee can be made with easily available supplies at home, as long as you follow our instructions carefully. home.